There is a lot of disinformation and confusion regarding the process of buying or selling gold. The rules regarding government reporting and taxes can be confusing. In the United States, precious metals have unique reporting and tax requirements when compared with other types of investments. These requirements differ considerably depending on the size of the transaction, the type of precious metal involved, and other factors. In some cases, purchases of precious metals must be reported to the U.S. government. Some investors are worried about telling the government that they own a large quantity of gold. If you wish to avoid mandatory government reporting, it is crucial to understand reporting rules so that you can choose coins and purchase methods that do not require this report. This requirement is not specific to precious metal purchases, but instead applies to all cash transactions over $10,000. It is also required when the purchase is made in several related transactions totaling $10,000 or more, even if each individual transaction is under the monetary threshold, in order to prevent investors from structuring their purchases specifically to avoid the reporting requirement. Sales taxes may be owed on purchases of gold coins and bullion. Whether sales tax is due is not related to the Form 8300 filing requirement. These rules vary state-to-state, and there may also be local taxes due on the purchase. Many states exempt certain types of coins or bullion from sales tax, or have minimum purchase requirements to qualify for an exemption. Investors living in those states may want to investigate options such as buying in bulk or selecting certain types of precious metals in order to avoid the sales tax requirement. 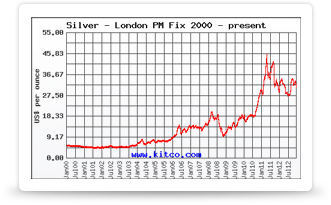 Other reporting requirements concern the selling of coins or bullion. The sale price, minus its original purchase price, is considered a capital gain. As such, it must be reported on Schedule D of Form 1040, and is subject to capital gains tax. Because gold bullion and coins are considered by the IRS to be “collectibles,” they are taxed at a maximum of 28%. Certain sales also require the filing of IRS Form 1099-B. Even though precious metal dealers are not required to report many of their smaller purchases to the IRS, this does not relieve the sellers of the obligation to report the sale and pay tax on any profits, regardless of whether a Form 1099-B has been filed. Depending on your investment situation, there may be a way to avoid paying the capital gains tax on your investment. A self-directed IRA can be used to hold certain precious metals as retirement savings. With this savings method, gold coins are bullion are held in an IRA account, in the custody of a precious metal depository. When sold, there are certain tax benefits, including no capital gains tax. If you are considering investing in a large quantity of gold coins or bullion, consider consulting a tax advisor. Your investment choices today will impact your finances for years to come. Before purchasing bullion or gold coins, make sure you understand the tax implications and reporting requirements involved in the purchase.